This UFO sighting have testified so far kept hidden to the public, for fear of being ridiculed, therefore we also have an anonymous witness. 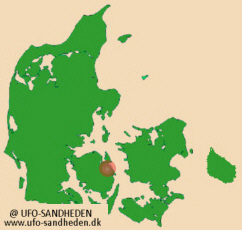 “I was at the time of the UFO sighting 12-13 years old, and is today (2015) 70 years. 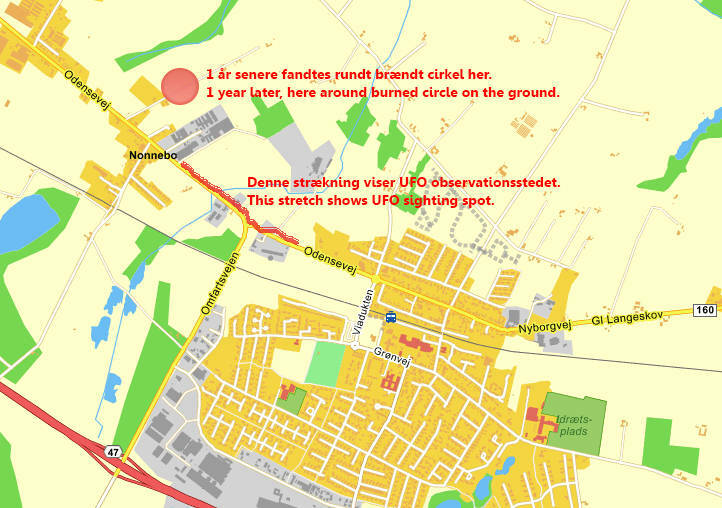 The selection on the map shows the route, where the young girl observed the UFO. I had been to the cinema, and it was early evening when I started toward home, it was not really dark, but in the twilight of the evening. When I cycled home, between Langeskov and Nonnebo, I observed an object in the sky, it was ball around and shone like the moon. The object followed me for a while, and it hovered silently. I stopped cycling and rose to the bike and looked up at the object, then suddenly stopped just above my head! 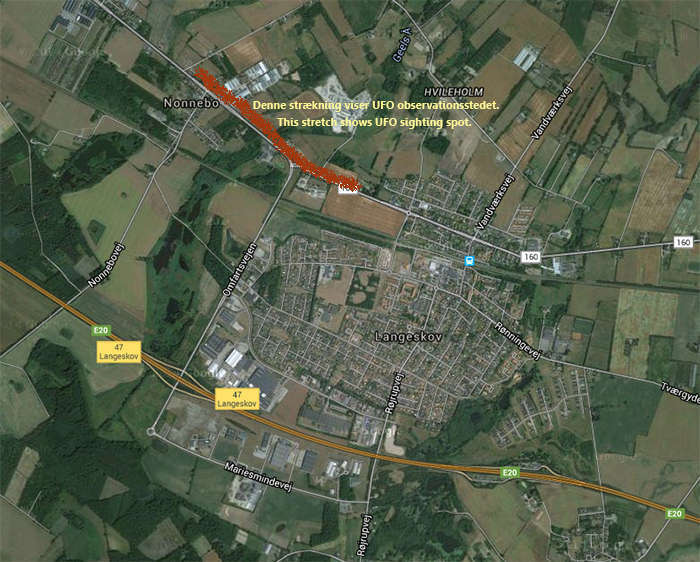 I considered it a good while, then it swung into a nearby field, where again kept quiet, hovered in the air. After a while it disappeared suddenly very quickly, like a light switch off. I am convinced that the object was a UFO. A year later there were writings and reports of "something" that had molten rock in a circle in a field in my neighborhood, and the school teacher took us students to go to the site to show us that. The impression was circular. Stone was characterized by clear signs of something very hot, the grass was away in the area and the circle, I can not exactly remember how great it was, however, not very big, as I remember it, maybe 10-12 meters in diameter".